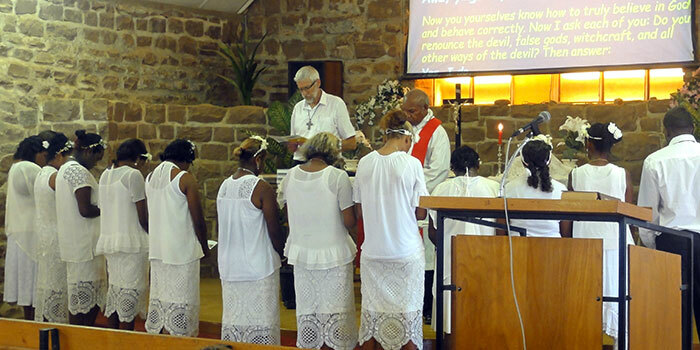 It was an exciting and special day when 13 young people from the Hermannsburg community gathered for their confirmation. The congregation sang Yinganh’ iltjang’ errkwai, unta yinganha (‘Take Thou My Hand and Lead M’e) as they proceeded into Bethlehem Lutheran Church, where they listened to God’s word. 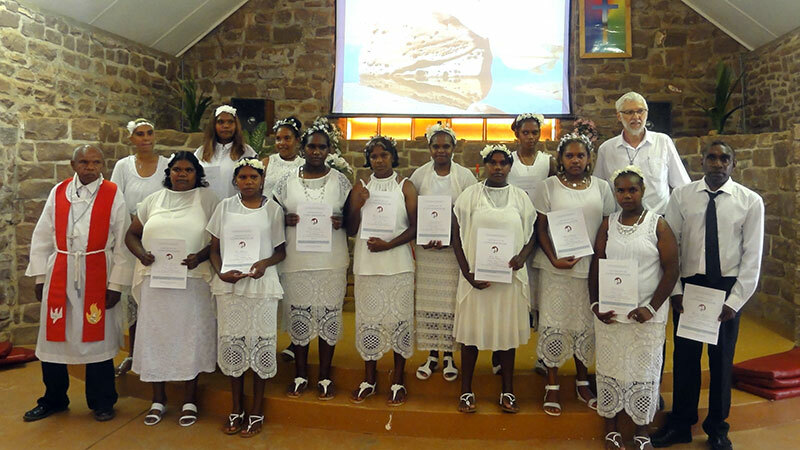 After 12 months of Catechism and Bible studies with Pastor Rodney Malbunka and Ingkaarta Neville Doecke, they were prepared to make their confirmation vows to a church full of family and friends before joining them as they received holy communion for the first time while the choir sang Kngwerritjala nai, kut’ ilpangkai (‘Never Forget Jesus’). As is customary, pastors and confirmees were greeted at the door by the large congregation as they left the church. Each of the confirmees purchased either an Arrarnta or NIV English Bible for their use following this special day in their life. We pray for God’s strength and blessings in their future lives.